Manicure Monday with Claire’s Press On Nails! 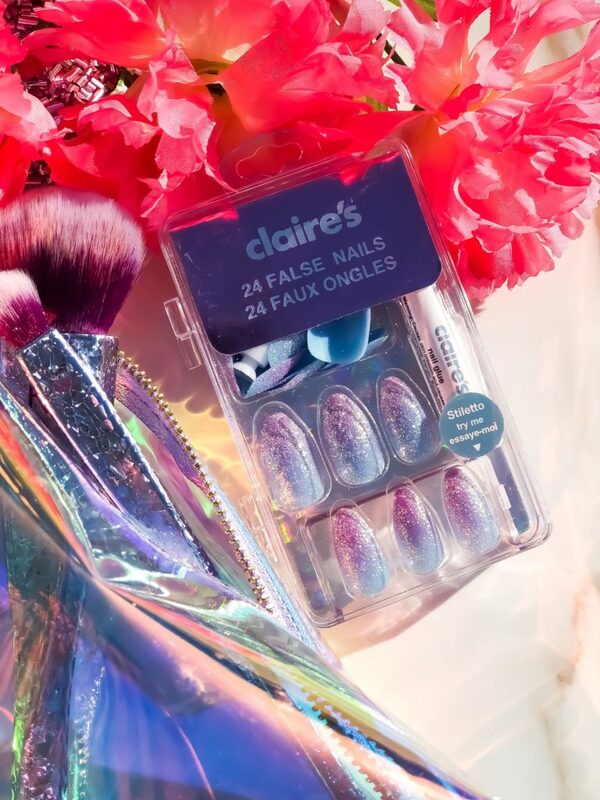 Get a salon quality manicure right at home with Claire’s! Check out this gorgeous glitter press on nail set for only $10! Press on nails are a huge trend right now! They’re so hot that even Claire’s jumped on board. Offering the cutest sets for under $10. Your girl is obsessed, y’all! 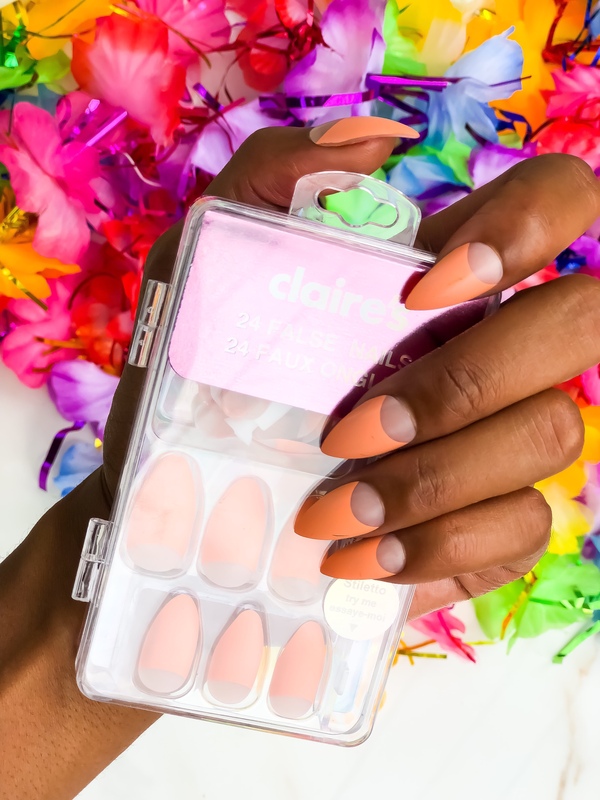 Just look how cute this orange french manicure inspired stiletto set is. ? Easy DIY Salon Manicure with Kiss Gel Fantasy Press On Nails!